Make your own Drum - A Science Experiment to do at Home. Dr Duncan's Fun Lab is a series of ebooks, each of which features a fun and educational science experiment to do at home. 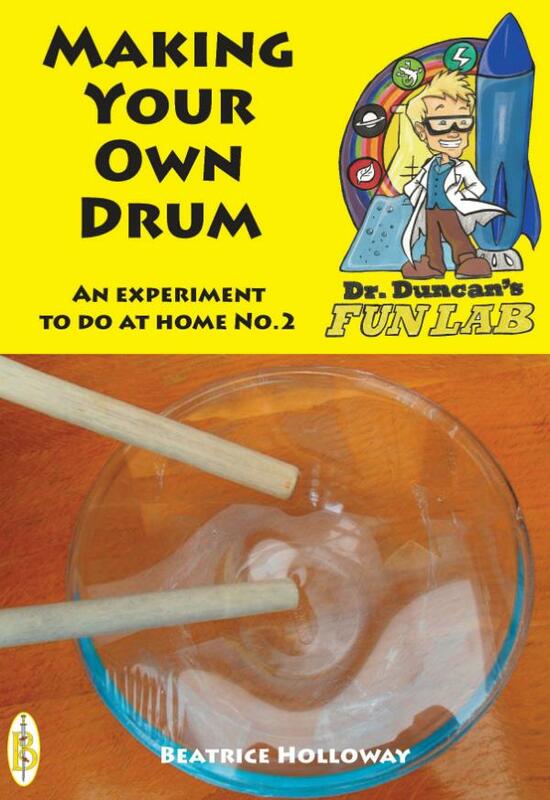 Are you enjoying Dr Duncan's Fun Lab experiments? Perhaps this is the first time you have come across this series of 'science discovery' in your own home. Here is one for you to try yourself. How about making your own music and finding out something about sound? In this book you will learn how to make a drum out of ordinary household objects. You will also learn how drums work, what sound is and how to understand the basic scientific principles involved.